Prostate cancer is one of the most common cancers found in men and usually, 1 in 8 men are diagnosed with it. 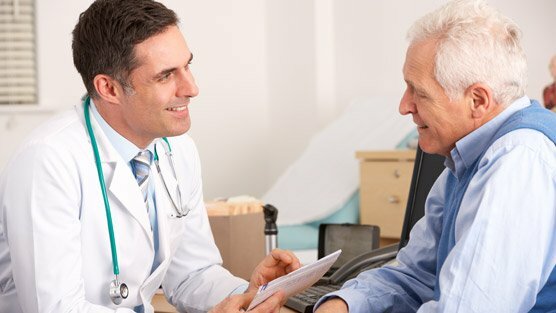 Most often, prostate issues are noticed when men face difficulty with passing urine. When Prakash discussed these issues with his family doctor, he was asked to see a urologist. “I was told that I might have prostate issues” he said. Prakash’s urological examination revealed that he had an enlarged prostate which was leading to his urinary trouble. The MRI scan looks at the prostate organ’s structure. The PSA test, also known as the Prostate Specific Antigen test, is a blood test that determines whether the organ has prostate cancer. But PSA is not specific to cancer alone, it may be raised in infections and other conditions, including a recent catheterization. Treatment for prostate cancer depends on how aggressive the cancer is. “Sometimes, we do find aggressive cancers” Dr. Kotwal explains. “Radical treatment becomes necessary especially if the prostate cancer is still within the prostate only (localized).” If the prostate cancer has locally advanced, it could be treated with radiation or hormone therapy. If the cancer has metastasized, i.e. spread to other parts of the body, then hormone therapy and chemotherapy might be needed. The incidence of prostate cancer has increased over the last 30 years and doctors feel that delaying a check up is not advisable. Prashant’s tests revealed an enlarged prostate but there was no cancer found. “I’m glad I didn’t ignore any of my symptoms. And I’m definitely going to stay regular with my annual exams now” said a visibly relieved Prashant.